This is my second time to stay in Aparthotel Adagio, the staff is good, i really like the location. Next time i will be in Paris i will still stay in Aparthotel Adagio. Location is very close to shopping center & many metro lines. Staff went way out of their way to find us an additional room despite a last minute reservation request. The manager was exceedingly helpful and basically saved the rest of our vacation. Really good location near Printemps and Galleries Lafayette. Montmartre and the Louvre within walking distance. Excellent service by staff very helpful and hospitable Nice get together for cheese and wine. For me the location was perfect and I was able to walk everywhere ( my preference ) There were several supermarkets close by which made self catering easy and by way of choice, numerous restaurants. I attended the ballet and was able to walk to Palace Garnier in under 5 minutes. The apartment was quite spacious. And there was separation of the living room from the bedroom, bathroom and toilet. So there was separation of public space and private space. Useful if you have visitors. One reception staff stood out for genuine friendliness and helpfulness: Stephane. He is a natural for the tourist hospitality industry. He is a gem. The location was not in a noisy area though close to eateries and shops. Everything was really clean, new and modern. The room was small but had everything that we needed. 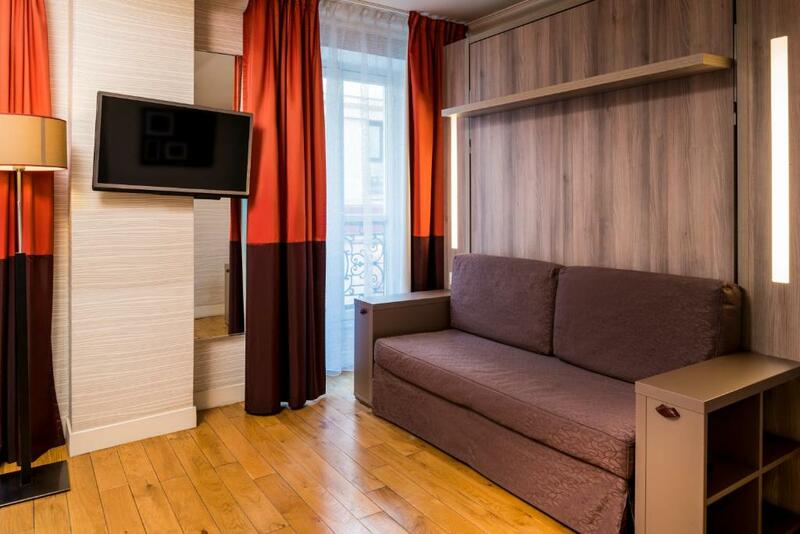 Lock in a great price for Aparthotel Adagio Paris Opéra – rated 8 by recent guests! 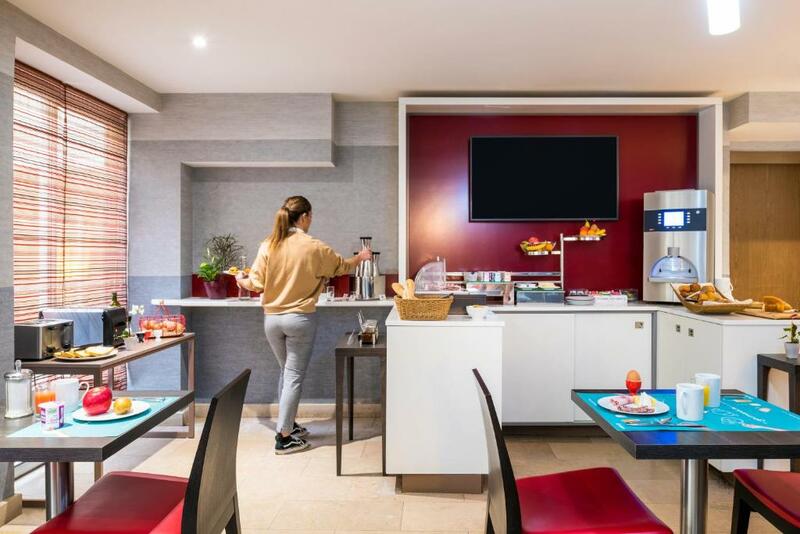 One of our top picks in Paris.Aparthotel Adagio Paris Opéra is an eco-friendly aparthotel located just 1,000 feet from the Opera Garnier in Paris’s 9th arrondissement. 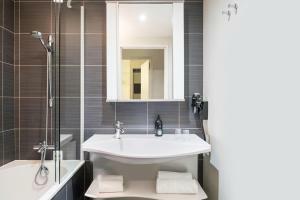 It offers self-catering apartments for long or short stays with free high-speed WiFi. This Aparthotel has a 24-hour reception and a fitness center. The studios and 1-bedroom apartments are fully furnished and feature a flat-screen TV with international channels. You can prepare homemade meals in the the fully equipped kitchen. It features a microwave, refrigerator and freezer. 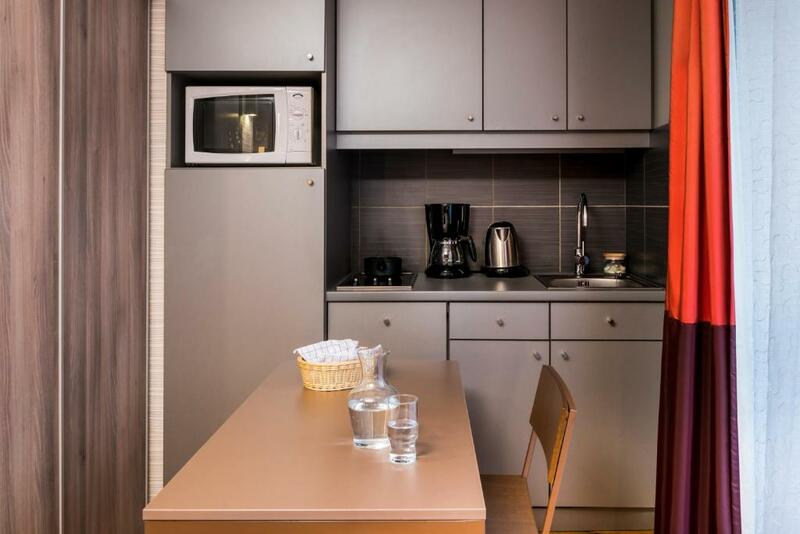 Hot plates, tea and coffee maker and a dishwasher are also provided. Breakfast is served daily in the breakfast room in the Adagio Paris Opera. A bowl and toast bar as well as sweet and savory dishes are offered. Children from 4 to 11 years old can enjoy breakfast at a reduce rate. Laundry service is available at an additional charge and there is also a dry cleaning service. 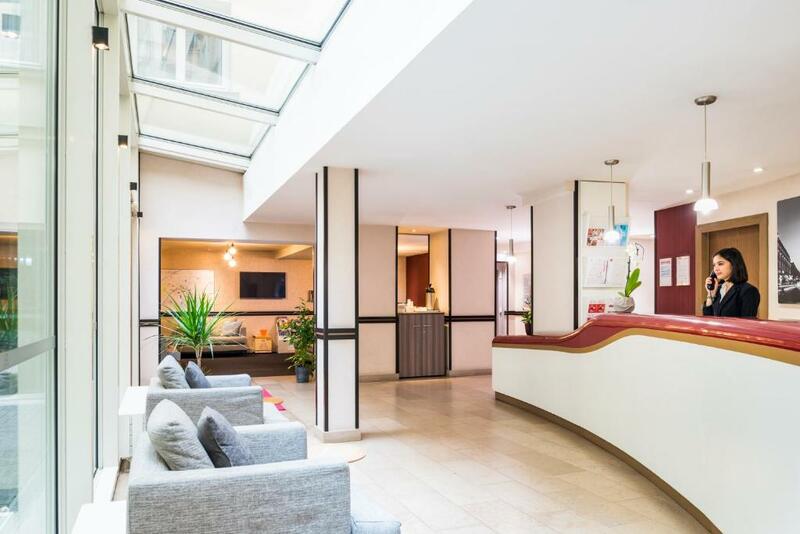 This property is just 1,300 feet from Galeries Lafayette Department Stores and 550 feet from Havre-Caumartin Metro Station, which provides direct access to the Eiffel Tower and Place de la République. This is our guests' favorite part of Paris, according to independent reviews. In this area you can shop 'til you drop for popular brands like Rolex, Cartier, Chanel, Louis Vuitton, Hermès. 뀐 Located in the real heart of Paris, this property has an excellent location score of 9.4! When would you like to stay at Aparthotel Adagio Paris Opéra? This 1-bedroom apartment is more spacious and offers a flat-screen TV and an equipped kitchen with a fridge and a dishwasher. Free WiFi access is provided. 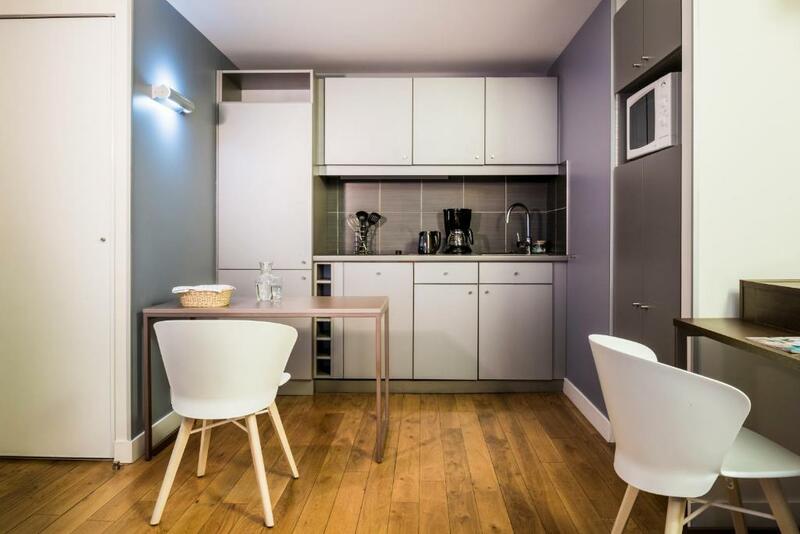 This studio offers a kitchen equipped with a dishwasher and a bathroom fitted with a bath or shower. 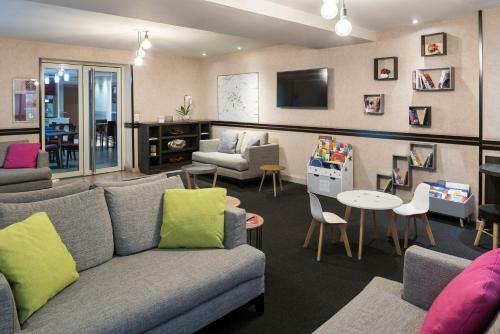 This studio is located in a Haussmannian building. Aparthotels Adagio, your second home in the heart of the city. Our apartments have all the facilities you need to make you comfortable and safe. Fully furnished apartments with kitchen, hotel services, we offer prices reductions starting from 4 nights. Prestigious aparthotel closed to the Opéra Garnier and the Église de la Madeleine. Area Info – This neighborhood is a great choice for travelers interested in shopping, art and architecture – Check location Excellent location – show map Guests loved walking around the neighborhood! 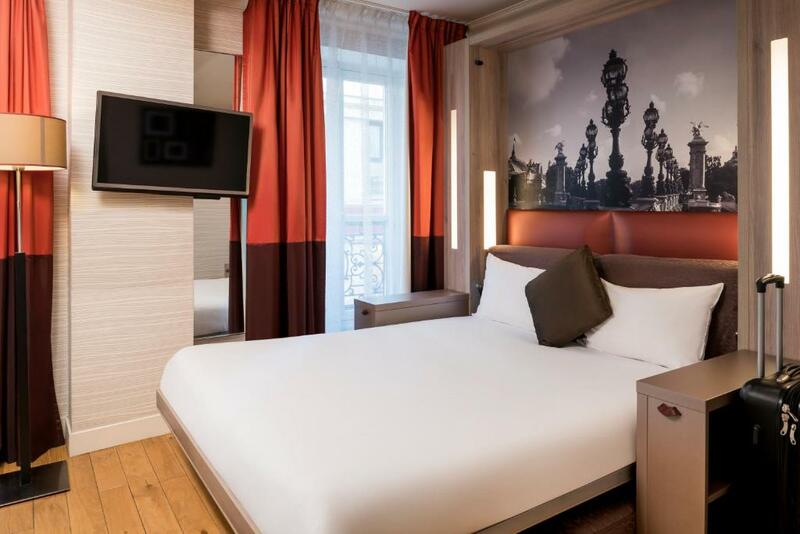 House Rules Aparthotel Adagio Paris Opéra takes special requests – add in the next step! Aparthotel Adagio Paris Opéra accepts these cards and reserves the right to temporarily hold an amount prior to arrival. A baby kit (cot, high chair) is available on request and subject to availability. Please note that a pet can be accommodated with a EUR 10 extra fee. Plenty of space in the apartment, location was perfect, staff very helpful. Quite old sofa bed and looks not clean. Amazing location. Very clean with everything you need. Loved our stay!!! Floors in the room were a little dirty.